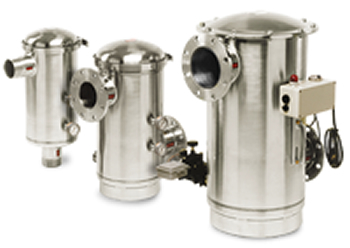 Process Flow Rate: 5 to 2000 GPM. Standard filter screen selections: 50 mesh (297 micron) and 100 mesh (149 micron). Optional filter screen selections to as fine as 200 mesh (74 microns). Great for chilled or tower water. High flow rates. Full flow or side stream. 2. Other screen mesh choices are available to 200 mesh (74 microns). Ask your Advantage representative if you need a specific filtration level.